Edmonton First Aid is the largest provider of occupational health and safety (OH&S) approved basic first aid, CPR and AED courses. Participants required to take this course include doctors, nurses, students, CBSA, police officers, fire fighters, physiotherapists, pharmacists, security guards, teachers, government employees, managers and many more. Three popular first aid courses are available including standard, childcare and emergency first aid which range in length from one to two days. CPR training is included but can be taken with first aid. CPR is divided into three level’s “A”, “C” or “HCP”. Registration for any course is incredibly easy and can be completed using the contact form or information below. Learn to manage emergencies from broken bones to seizures by enrolling in OH&S approved first aid and CPR training courses in Edmonton with Edmonton First Aid. Registration for a training course with Edmonton First Aid is quick and hassle-free. A list of offered classes and schedules and a registration form can be found here. Students can sign-up through telephone or e-mail as well. The Edmonton First Aid staff highly encourages walk-ins during business hours in any of the training centers. Why Register With Edmonton First Aid? 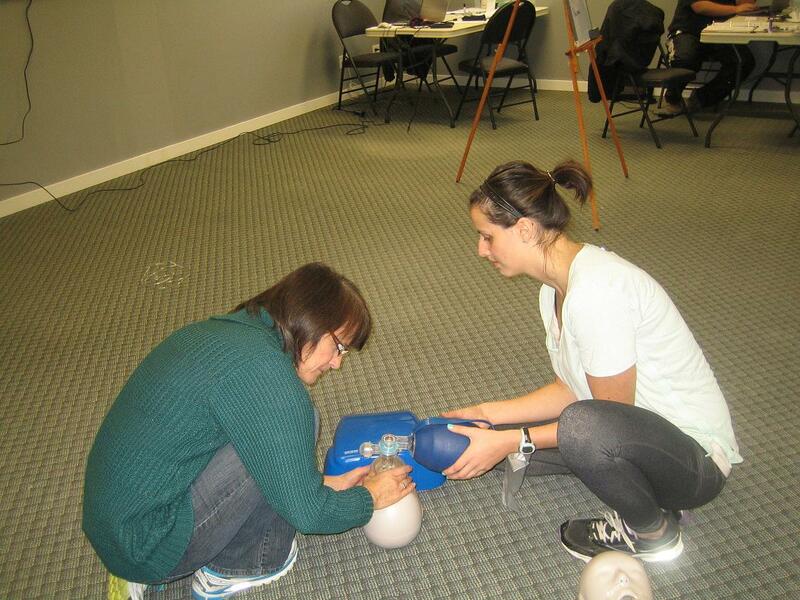 Edmonton First Aid has the largest selection of OH&S approved first aid and CPR courses. Courses are offered on weekdays, weekends and on weeknights. This provider offers courses at the lowest prices with stand-alone CPR training costing 54.99 and standard first aid costing 134.99. Prices include tax and are clearly shown on the Edmonton First Aid website. Private classes are available to businesses, groups at the training centre or an instructor can be sent to your location. Contact this provider using [email protected] to inquire about private training. OH&S approved training certificates are awarded to trainees who are able to complete a training course. The certificate is valid for three years and will workplace requirements for Alberta employees. Trainees are entitled to full refunds if they drop out of a course, provided a 72-hour notice is given. All classes are taught by workplace approved and certified instructors in high-end training facilities. Classrooms are spacious and well-maintained, equipped with the latest training equipment for CPR and first aid training. Participants will learn rescue techniques with hands-on training. The training centers are easily accessible and are within walking distance to public transportation, free parking, and restaurants. This provider is dedicated to convenience, cleanliness and a well maintained facility. Participants will not be disappointed with the quality of program, prices and training facility. Learn about these topics and more in a CPR training course with Edmonton First Aid. Electrical shock is a dangerous injury that can cause a number of internal damage even in the absence of outward physical injuries. Here are some tips to remember before helping out a person who was shocked by electricity. DON’T touch the victim. DO check out the surroundings for the source of the shock. DO remove the source of electricity from the victim and other people. DO try to turn off the source of electricity. If the victim is unresponsive, not breathing, or does not have a pulse, begin cardiopulmonary resuscitation (CPR). Learn more about how to manage electric shock injuries in a first aid training class at Edmonton First Aid. Enrol today!